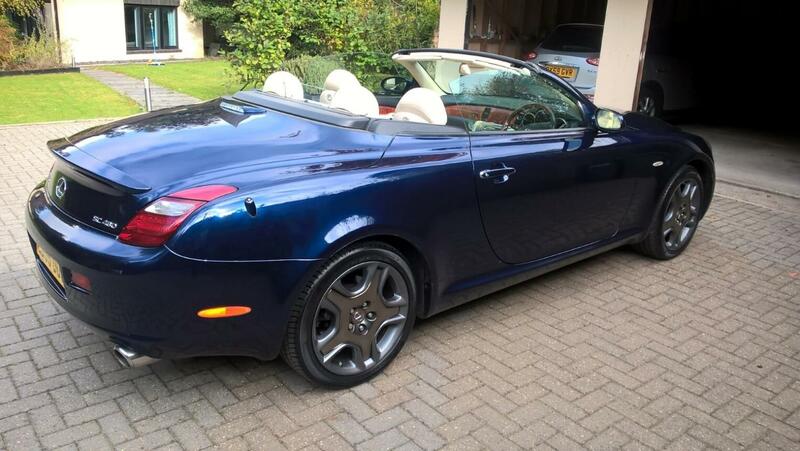 For sale: SC430 - 2005 [2006 six speed model] Item Condition: lovely Price and price conditions: £9,250 to a good home Extra Info: Dark Metallic blue / ivory leather, 79, 431 miles, new timing belt and water pump less 1000 miles ago. 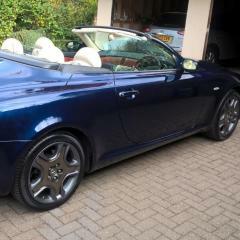 Currently on SORN/ I will have it MOT'd before delivery. Reluctant sale due to my Wife now having difficulty getting in and out. Everything works as it should. Pictures: Upon request Contact Details: marc@hodghton.net - 07753 727723 Location: West Sussex. Delivery & Conditions of Delivery: Collection only. Thanks for your post Farqui: 450h-I Silver/Black. Photo to follow, when and if it stops raining! Just bought a 2010 450h (49k), to go along side my SC 430. Only done 300 miles so far but very pleased with it. I fine vehicle that's a credit to it's previous owner. Thanks for this Colin. Have to say that in all other respects the car runs very well indeed. It's now done 70k miles id that helps with possible reasons for the problem. Thanks for your post Colin. "touching" the breaks doesn't seem to make a discernible difference. I have had my SC430 (6 speed) for a few months now and have a problem which I hope some of you cleaver people may be able to throw some light on. The engine idles smoothly at just under 800 rpm but when coming off the throttle at say 40mph for this example (but it's the same at any speed) the revs stay at 1100-1200 rpm so the car does not slow down - taking some 200m reduce speed to 30 mph. However, if the brakes are applied (necessary!) firmly, the revs drop to the normal idle level. Is the throttle body the likely culprit? Any help will gratefully received.